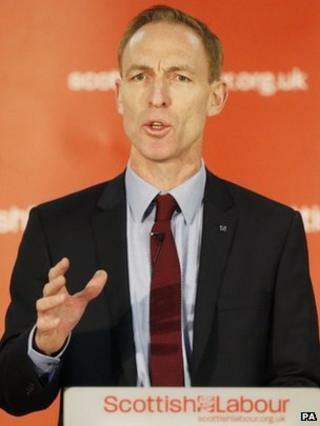 Scottish Labour leader Jim Murphy has said he is the party's candidate for the East Renfrewshire constituency at the general election in May. Mr Murphy, who is not an MSP, has already said he will be his party's candidate for first minister at the Scottish Parliament elections in 2016. He has faced calls to clarify his position over the Westminster seat. He said he wanted to "contribute to making sure the Tories are kept out of East Renfrewshire and Downing Street." The current MP for East Renfrewshire was unanimously reselected by the party for the Westminster seat in November 2013. However, following his appointment as Scottish Labour leader in December there has been speculation about whether he would stand. Mr Murphy said: "As I have said many times before, I am the Labour candidate for East Renfrewshire against the Tories in May and Labour's candidate for first minister in 2016. "We have had a really good response on the doorsteps in recent weeks. "We need to do everything we can to stop the Tories being the largest party. I want to contribute to making sure the Tories are kept out of East Renfrewshire and Downing Street." Mr Murphy was first elected to the seat in 1997 when the Eastwood constituency, as it was then known, had the largest Conservative majority in Scotland. Conservative candidate for East Renfrewshire David Montgomery said: "The voters in East Renfrewshire deserve better than an MP who has already got one foot out of the door. "We also know that, if elected, Mr Murphy won't be focused on representing the local interest of people here at Westminster." Kirsten Oswald, the SNP candidate for East Renfrewshire, said: "Jim Murphy has a lot of explaining to do to the people of East Renfrewshire. "When elected as leader he made it clear he was 'not attracted' to the idea of being an MP and an MSP at the same time - so would he intend only serving the people of East Renfrewshire for a year at Westminster if he gets elected to the Scottish Parliament in 2016?"